NASHVILLE, TN — Chancellor Nicholas S. Zeppos of Vanderbilt University was presented the Dr. Evelyn Fancher Literary Luncheon Award on Saturday, Feb. 25. Dr. Evelyn Fancher is a founding member of Les Gemmes and possess the attributes of self-worth, inclusiveness, strong educational development and sound research. She believes in respect and celebrating life, courage, truth, leadership and strong character development. The resilient leader, became the eighth Chancellor of Vanderbilt in 2008, after serving as interim chancellor for a year. In August of 2016, Vanderbilt officially removed the confederate name from Memorial Hall. Though they had stopped referring to it by the Confederate Memorial Hall since 2002. The United Daughters of the Confederacy sued to prevent them from officially removing that term off the building. A federal appeals court ruled in 2005 that the school could only do that by refunding in full the current value of the original donation made 83 years ago. The United Daughters provided $50,000 towards the buildings’ contruction and naming rights to honor confederate soldiers who died during the Civil War. “These are times that good people must stand up for what is right, Zeppos added. 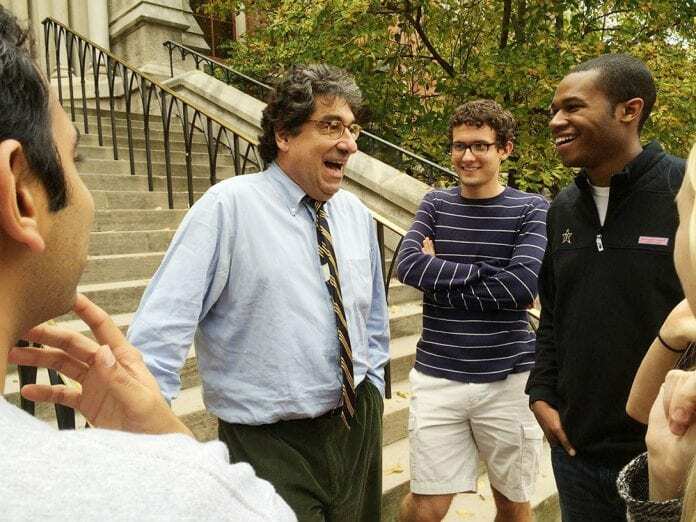 Chancellor Zeppos was recently named “Person of the Year” by The Tennessee Tribune. Ironically, Mrs. Rosetta Miller Perry, publisher of the Tribune will be given an award in April by the Daughters of the Confederate Revolution at their Women of Suffrage Luncheon at their 112th Annual Conference in Franklin.